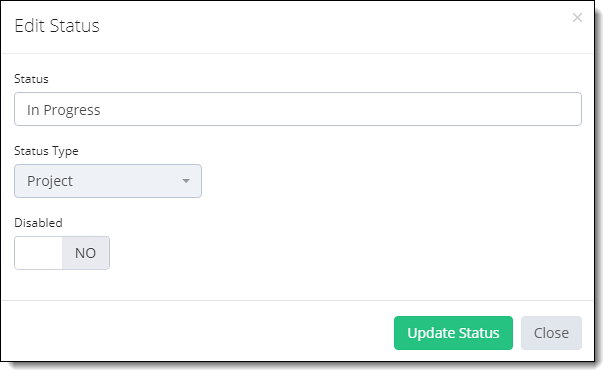 Status types are different types of status codes which TimeLive users can use to monitor their different types of project or task states from start to finish. Different status type can be Open, In Progress, Closed. An administrator can add more types as per the requirement. Scroll to Application Setup and click Status Type. Click on the + Add Status Type green button on the top-right side of the application. Fill the first field with Status Name you want to give. Select status type (select Task, if you are going to add status of a task. 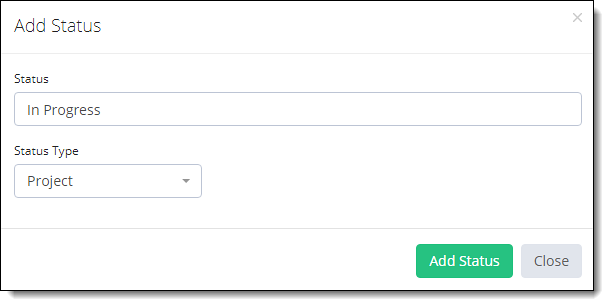 Select Project if you want to add a status type for the project. Select Employee, if you want to add new status for employees). Click on Add Status button to add this status in TimeLive system. In [Status List], click on Options gear icon of the type which you want to modify. Update your required field in the popup form. Click Update Status button to update this record. In [Status List], click on Options gear icon of the type which you want to disable. Click on the Disabled switch and it should show Yes. In [Status List], click on Options gear icon of the type which you want to delete. Click Delete option and click OK on the confirmation popup.